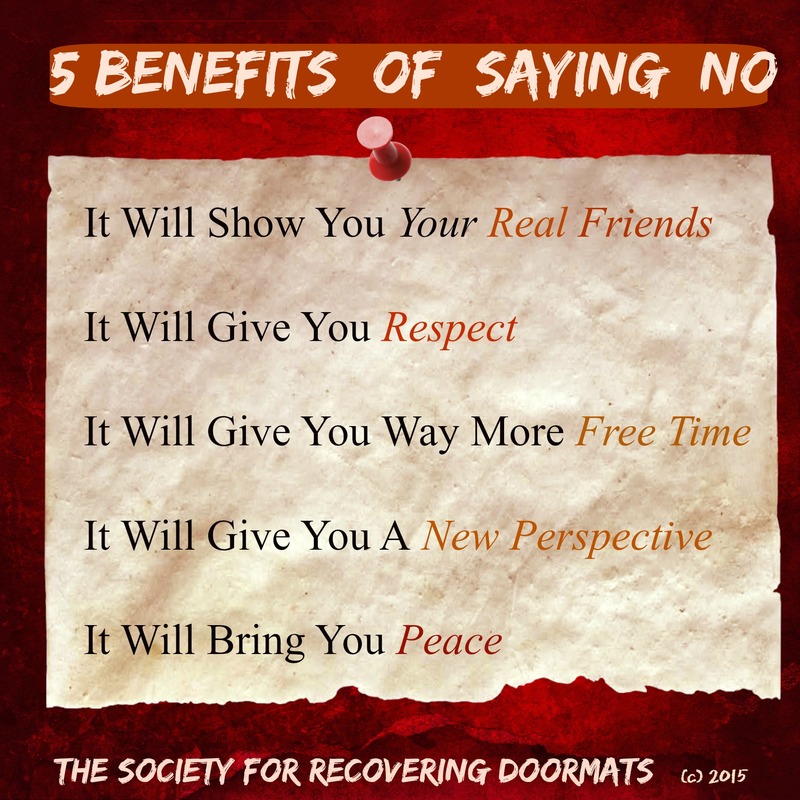 5 Benefits of saying no. One of the biggest challenges of people pleaser’s is saying no. Saying yes to everyone and negating our own desires equals DOORMAT. Plain and simple. It takes time to unlearn this very unhealthy, destructive habit of being a yes person. It won’t be easy and will take time until saying no feels authentic. But completely worth the effort. I’ve been on the receiving end of several informal interventions, and I’m realizing only now how true it is that I am susceptible to peer pressure and people-pleasing. Thanks for today’s dose of confidence! You don’t have to have an excuse for saying no. I used to conjure up reasons, and it was tiring and confusing trying to remember what I said and to whom. Plus, it can become fodder for gossip, especially if you’re excuse is exposed as untrue. Saying no, especially when everyone knows you always say yes, can be very uncomfortable. (Especially at church!) It may even challenge some of your relationships. True friends will accept; false ones will fall by the wayside. Stay calm and remain firm, and don’t apologize! You are NOT being selfish; you are exercising mature self-interest.